Dreadfleet is a naval miniatures war game from Games Workshop. Set in the world of Warhammer, the game pits a fleet of pirate ships against the undead navy of Count Noctilus. 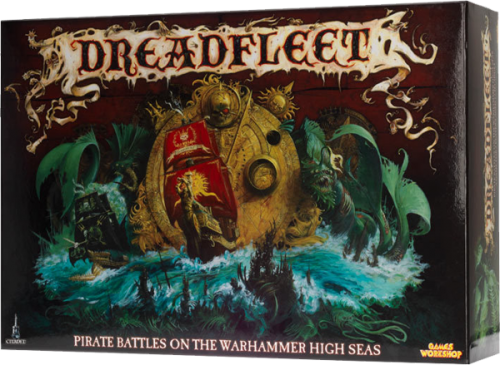 Dreadfleet is a boxed game for two players and includes 10 warship figures, as well as sea monsters, a dragon, a dirigible, and shipwrecks. Some assembly of the figures will be required and not painting them would be a shame. But the game will only be available in limited quantities, so if you’re at all interested I suggest moving quickly.